Smadav Antivirus is an additional antivirus software that is designed to protect your Windows PC. Smadav Antivirus is a simple security free program that provides real-time anti-virus protection, making sure that your Windows PC is safeguarded at all times. 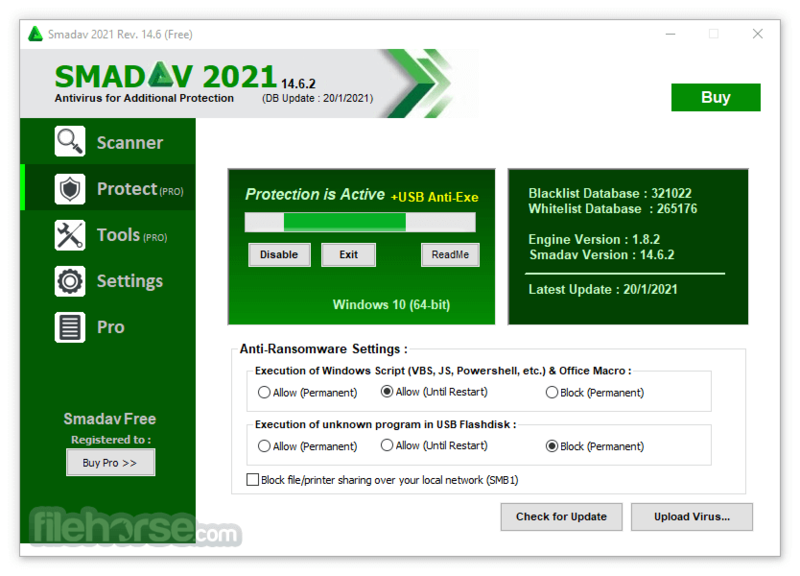 Smadav Antivirus mainly function as additional protection for your PC (especially its total protection for USB Flash Drive), so Smadav doesn't offer total protection. If you would be often browsing internet or installing new apps, you are highly recommended to use another security products that offer total protection. Additional Protection for your PC, compatible with other antivirus products! Almost all other antivirus cannot be installed with another antivirus, it's because the antivirus designed for main protection in your PC. It's not the case for Smadav, It is an antivirus that is designed as additional (second layer) protection, so it's compatible and could be installed and run together with another antivirus in your PC. The program using their own technique (behavior, heuristic, and whitelisting) to detect and clean virus that improves security in your PC. USB Flashdisk is one of the most used media for virus spread. The software use its own technology to avoid virus spread and infection from USB Flashdisk. It can detect many new unknown virus in USB even if the virus is not in the database. Not only for protection, Smadav can also clean USB Flashdisk from virus and restore hidden/infected file in the USB Flashdisk. Smadav only using small fraction of your PC resources. It most of the time only use very small memory (under 5 MB) and CPU usage (under 1%). With this very small resource usage, It will not slow your computer. And you can still install another antivirus that will together work with Antivirus to protect your PC. Smadav can clean some virus that already infected your PC and also fix the registry change made by the virus. 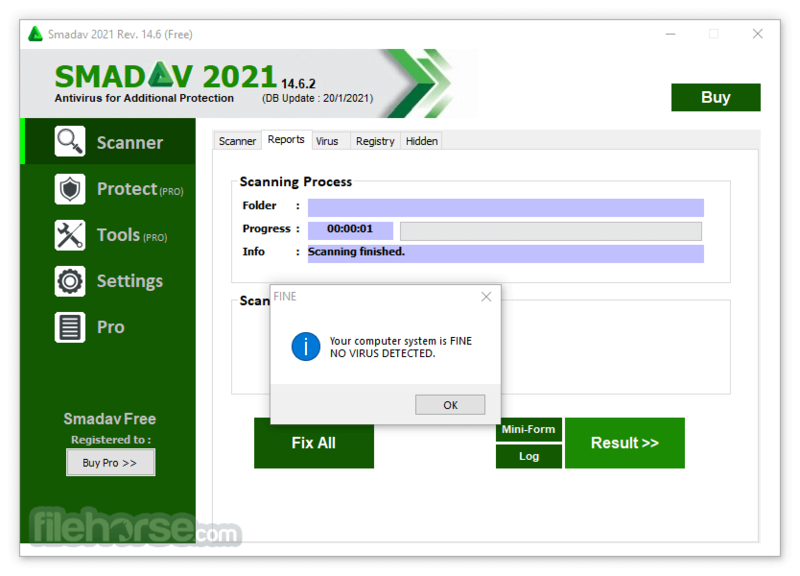 Many tools included in Smadav to fight for virus cleaning. 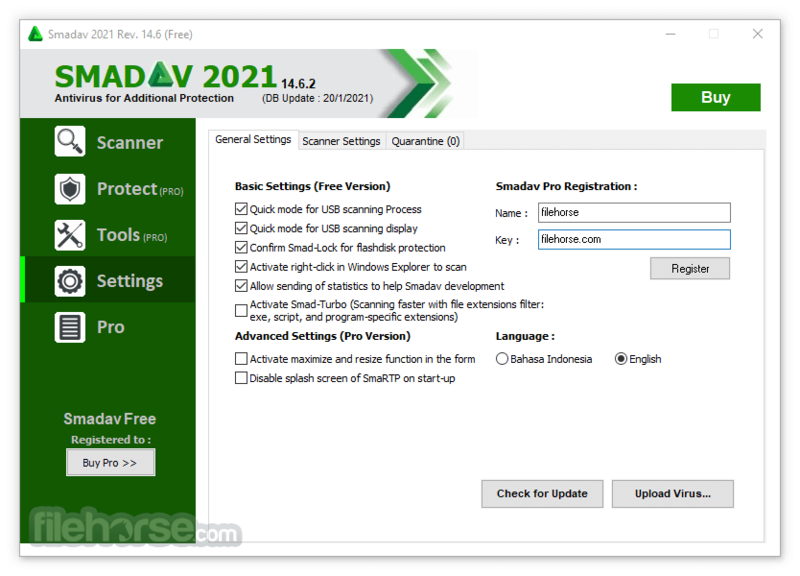 Note: In Free version, you have to manually download the new version of Smadav to update your latest version. Another difference is that Pro have some more features: Automatic Updates, Exception List, Maximize/Resize, Changing theme colors, Admin Password, and Profit/Commercial Use.